Oh Switzerland – my home country and truly one of the most beautiful places on earth, especially when you like nature, including mountains, lakes and endless views. Many times people ask me what they should do when visiting Switzerland in Winter – and that is a good question – that you’ll get an answer for today. 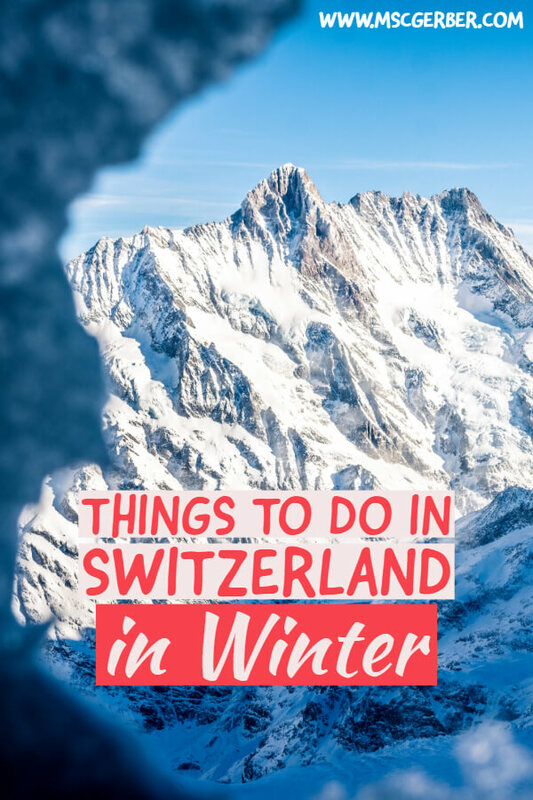 Together with some fellow bloggers that visited Switzerland in Winter, I created this post with the best things to do in Switzerland in Winter, including some incredible places and true hidden gems. For some further inspiration before your trip to Switzerland, feel free to check out 19 of the best places to visit in Switzerland. Lucerne is one of the most beautiful cities of Switzerland – and in my opinion (as a local that grew up here), even more so during Winter time. Especially during and before Christmas time, the whole old town area is full of Christmas lights, which makes it even more special to walk around Lucerne at night. Simply stroll around the historic old town and enjoy a few mulled wine along the way. If you decide to stay for a few days I also highly recommend to visit the surrounding areas, including the wonderful Lucerne Lake and the several beautiful mountains around. For some more inspiration about Lucerne during the Winter months, check out my complete guide for visiting Lucerne in Winter. 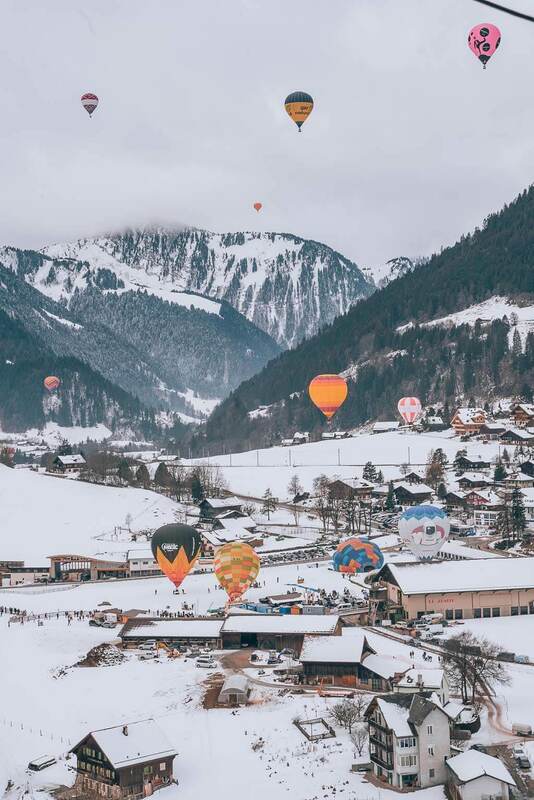 One of the best things to do in Switzerland during winter is to experience the Château-d’Oex balloon festival. This international balloon festival happens only one time during the year (the end of January) and lasts for about nine days. The festival started in 1979 and has brought in colorful balloons from over 15 different countries. The special event also has a special day dedicated for the nighttime show which has balloons decorated with lights fly through the nightly mountainous sky. During this festival, you can enjoy food, drinks, bright balloons, and you even have a chance to ride on the balloon. Just make sure to make reservations by email a few weeks before. The balloon rides offer 360-degree views of surrounding mountains and cities from 2500 to 3500 meters up high all alongside various other flying balloons. The views are glorious and out of this world. 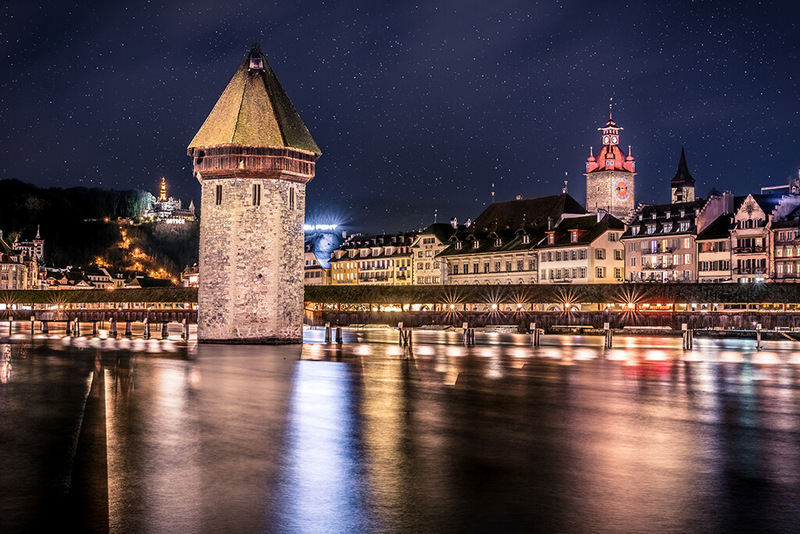 If you think visiting Lucerne in summer is special, you’re in for a real treat if you decide to stay during the winter months! I’d previously explored Lucerne during summer thinking it couldn’t be beaten. Little did I know my breath was about to be taken away by the gondola ride up to the iconic Mt Pilatus, towering above the medieval town below. Only a 15min bus ride to Kriens from Lucerne (adult cost CHF 3.10), it’s easy to make a day trip to Mt Pilatus. Simply purchase your tickets on arrival to the gondola (adults CHF 72.00) and you’ll soon be on your way up. If you want, you can also book your ticket in advance. It’s so magical to watch the gradual transformation of green hillside into a stunning winter wonderland as the gondola climbs. Here’s a little heads up about what to expect at the end of gondola ride: A larger cable car that holds around 20 people will take you the remaining distance to Mt Pilatus’ summit. Once it gets moving, the car does a sudden drop before taking you the rest of the way – it may seem quite scary if you aren’t aware beforehand! If the weather is on your side for the day, you will be absolutely spoilt by the striking view from the summit. Gorgeous snow-capped mountains can be seen all the way to the horizon, sometimes sparkling like diamonds when they catch the sunlight. I was also quite surprised to see icicles suspended from the roof that were easily taller than myself! During your time at the summit, you’re free to take in the view by rugging up outside the Pilatus Kulm Hotel, dine at the Bellevue Restaurant and admire ice sculptures (weather permitted). There are so many reasons to add a trip to Mt Pilatus to your Switzerland itinerary, especially when visiting Switzerland in Winter. Taking the Gondola to Mount Pilatus is a great idea! Just outside of Schwarzsee, in the Swiss-German-speaking part of Fribourg canton, is a magical winter wonderland called the Ice Palace. This enchanting world of ice is the creation of local resident and self-taught ice sculptor, Karl Neuhaus. Karl is now in his 80s and has been recreating the ice palace every winter for the past 30 years or so. 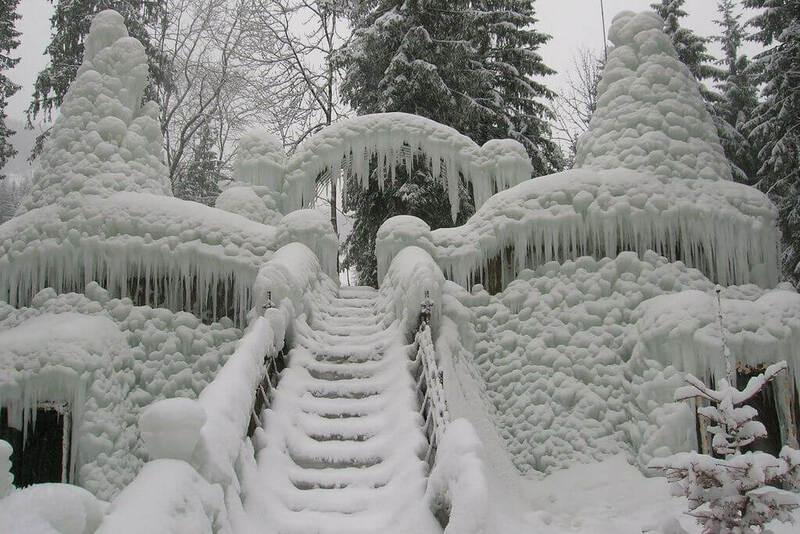 Some of the ice structures are up to 15 meters tall, and you can even walk into them and climb around. Karl created them using basic materials like scrap iron, wooden planks, and water hoses. Don’t expect professional sculptures like the ones at the famous Harbin Ice and Snow Festival in China; this is a one-man show and a more low-key affair. Nevertheless, it’s amazing to see what a single person can do with a little creativity and imagination! I visited the Ice Palace during the day, but I’ve seen photos of the place when it’s lit up at night, and it’s even more spectacular then. The site is generally open from mid-December to mid-March, depending on the weather. There’s a small kiosk on site where you can buy warm drinks and simple Swiss snacks. A helicopter flight is always an awesome idea, but even more if you decide to do a helicopter flight over the Swiss Alps. The views are simply incredible and out of this world. While helicopter rides in Switzerland can be pricey, they are worth it in my opinion. I highly recommend taking a flight from somewhere located nearby the alps, such as Lauterbrunnen or Zermatt, as you will enjoy mindblowing views during your whole flight. I personally did a helicopter flight in the Jungfrau region (starting from Lauterbrunnen) and hat an incredible experience. To read more about it and see some of the pictures, check out my in-depth article about it. 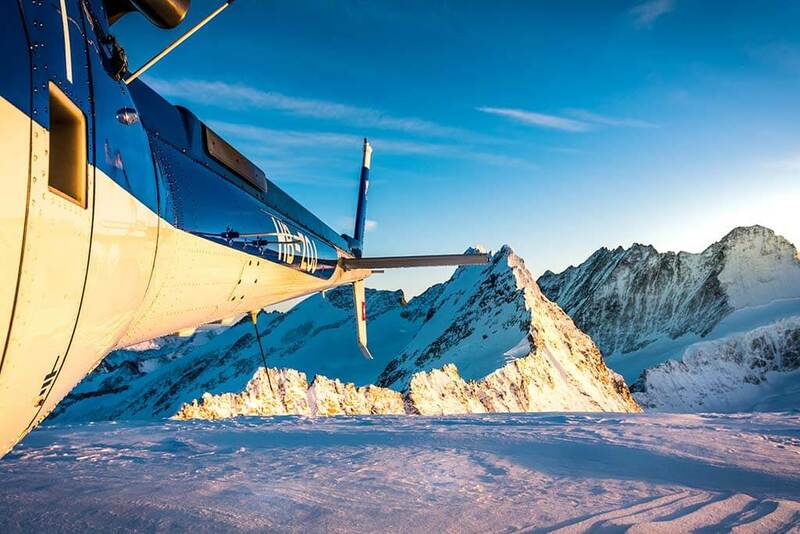 For me, a helicopter flight is one of the most fun things to do in Switzerland in Winter. During our flight, we also landed on a remote glacier, what an experience! Situated in the Swiss Alps at a breathtaking altitude of 3,466 metres (11,371 feet), Jungfraujoch mountain boasts the highest train station in Europe. Dating back to 1912, this impressive feat of engineering is listed by UNESCO as a “World Heritage Site of the Swiss Alps”. Once here, visitors can explore the mighty Sphinx Observatory station, which is one of the highest observatories in the world (and the highest man-made structure in Europe). You may recognise it from films like The Grand Budapest Hotel! 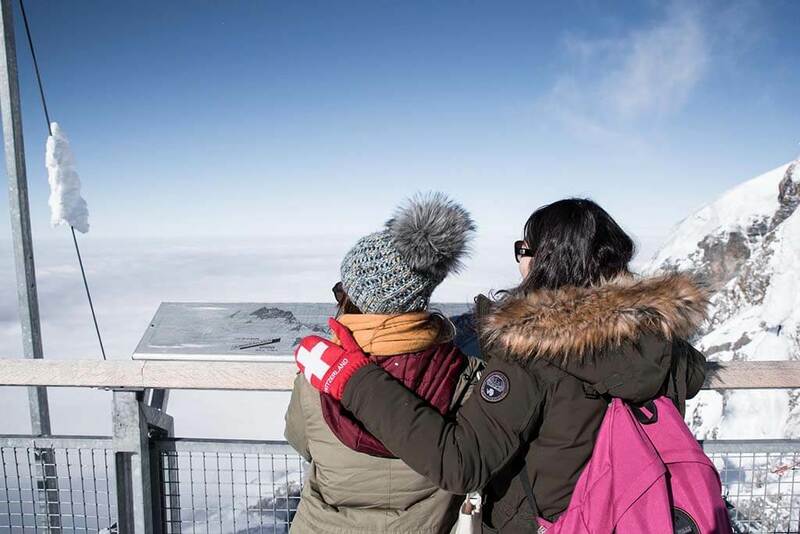 The station’s 360-degree viewing deck is its pièce de résistance, offering dramatic vistas over the snow-capped Jungfrau, Mönch, and Eiger mountains, as well as the Great Aletsch Glacier, which is the largest glacier in the Alps. You’ll definitely want you camera here (and plenty of warm clothes). Don’t leave without adventuring through the magical Ice Palace museum, which is housed within a series of ice tunnels carved into the glacier. 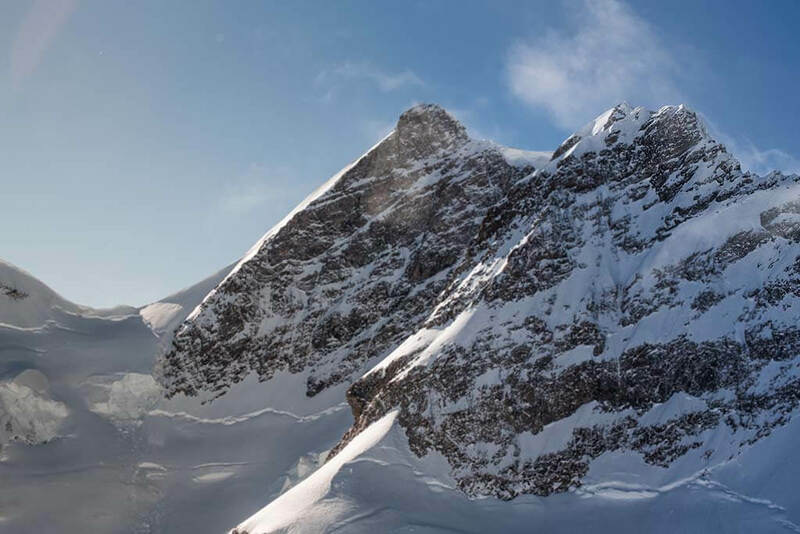 Here you can peruse the intricate wildlife sculptures, a joy for kids and grown-ups alike, and take the Alpine Sensation Tour, which tells the fascinating story of how the Jungfrau Railway was built. It also mourns the miners who so sadly lost their lives during its construction. Get there: The train to Jungfraujoch departs from Kleine Scheidegg station, which can be easily reached by train from nearby ski resorts like Wengen, Grindelwald, and Lauterbrunnen. It is recommended to ebook your ticket in advance. For my first Christmas in Europe, I was committed to finding an adorable Christmas Market to explore. Luckily I found just the thing at the Montreux Christmas Market, near Geneva. While Montreux is perhaps most famous for its Jazz Festival, it also has a very, very cute Christmas market from late November through to Christmas Eve. All along the shore of Lake Geneva there are dozens of little wooden huts selling all kinds of gifts, from handicrafts to smallgoods. As Geneva is such a multicultural city (being the home of the UN Headquarters), there’s an amazing variety of gifts on offer beyond your usual Christmas items. I especially loved the vin chaud, which was the perfect accompaniment to a chilly Swiss evening, while fondue is also a good choice. There was also a beautiful Ferris Wheel, and even Santa and his reindeer made an appearance! Another nice touch was a wall of handwritten messages left by visitors to the market, spreading good wishes for the holiday season and new year. Perhaps the highlight of the Montreux Christmas Market, however, is the jaw-dropping setting. The sight of the snow-capped mountains towering over Lake Geneva is really magical. What an amazing winter wonderland that is certainly one of the best things to do in Switzerland in Winter. For me, Switzerland’s charm is in its views. Cliffsides strewn with waterfalls. Fields of wildflowers in summer and endless white snow in winter. Peaks as far as the eye can see. 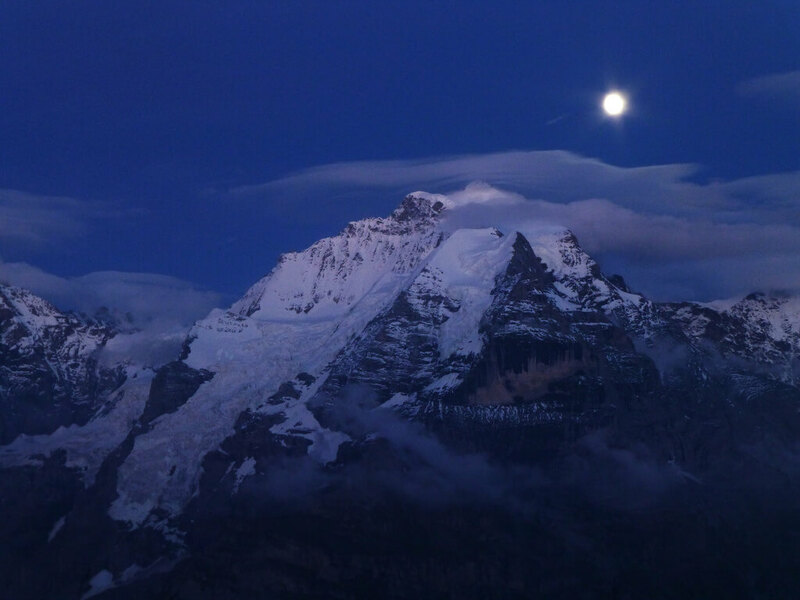 Which is why when I discovered Schilthorn—a mountaintop across the valley from the Bernese Oberland’s highest peaks with a glass-walled rotating restaurant that offers 360-degree views, I quickly fell in love. Schilthorn is exceptional any time of year. In summer, fit adventurers can hike to the top. And in winter, when the snow piles upon itself and the wind numbs your cheeks, a series of cable cars and trains (with some of the prettiest views in the world, themselves) slowly take you to the top where the warm rotating restaurant and the chilly, snowy outdoor viewing platform both await with panoramas that they say reach all the way to Mont Blanc on a good day. Grab a seat by the windows, order up some Swiss specialties, and enjoy the view. It is said that the Matterhorn is the most photographed mountain in the world and by just looking at all the pictures on Instagram I can understand why: It is extremely photogenic. And believe it or not: It’s even more special in reality, so visiting Zermatt and taking a picture in front of the Matterhorn is, in my opinion, one of the first things you should do when visiting Switzerland in Winter. You’ll surely get one of the best pictures you can take there. For more awesome things to do in Zermatt in Winter check out my blog post about it. The region of Portes du Soleil, in the Valais, enjoys a very privileged environment. Surrounded by mountains, it offers a multitude of sports, fun and cultural possibilities. But let’s go a little further back: the Franco-Swiss domain of Portes du Soleil encompasses 13 stations. In France: Abondance, Avoriaz, Châtel, St Jean d’Aulps, La Chapelle d’Abondance, Les Gets, Montriond, Morzine-Avoriaz; and in Switzerland: Champéry, Morgins, Torgon, Les Crosets, and Champoussin. With over 600km of pistes, this domain is one of the most extensive in the world, and the Swiss part of it enjoys exceptional snow quality throughout the winter. Last December I had the chance to check it out for the fourth time since I never get tired of snowboarding in Portes du Soleil. 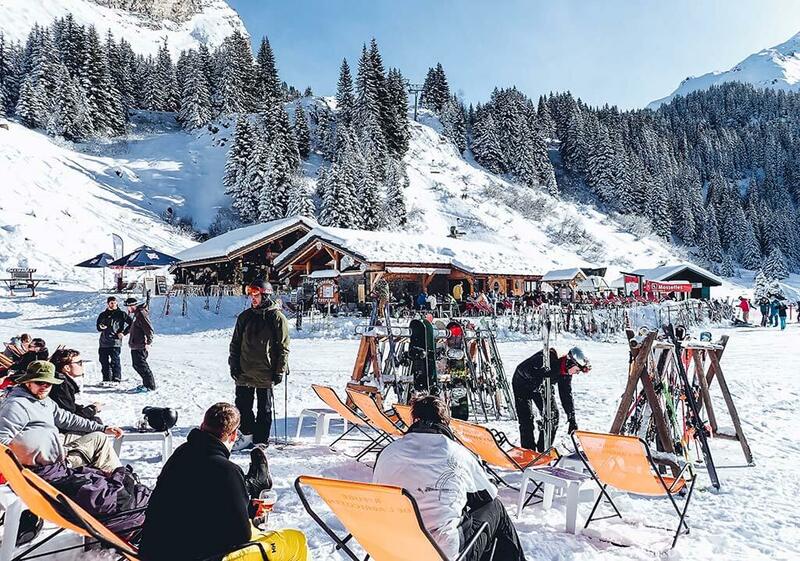 If you like snow sports, do not go any further and include Portes du Soleil on your Swiss winter itinerary now! It is no secret that ski lovers will find their paradise in Switzerland – but there are more things to do in Switzerland in winter. If you are not a ski person and still enjoy some activities in the snow, then try out snowshoe hiking in Verbier. Verbier is one of the best ski resorts in the country and given its beautiful location, snowshoe hiking is a lot of fun in Verbier. You could hike in regular, waterproof hiking boots but if you choose some more difficult trails, I suggest to either buy or rent special snowshoes. They look a bit weird and like a skateboard – but smaller and with some holes in it. You just slip with your boots into the snowshoes and they help you to even walk through high snow. Verbier offers many great trails – since I did one snowshoe hike on a very sunny day, I enjoyed amazing views of the Verbier valley while hiking up to enjoy different mountain views. While sometimes the snowshoes were not really needed, they sometimes really helped me – especially with the poles that I also had. 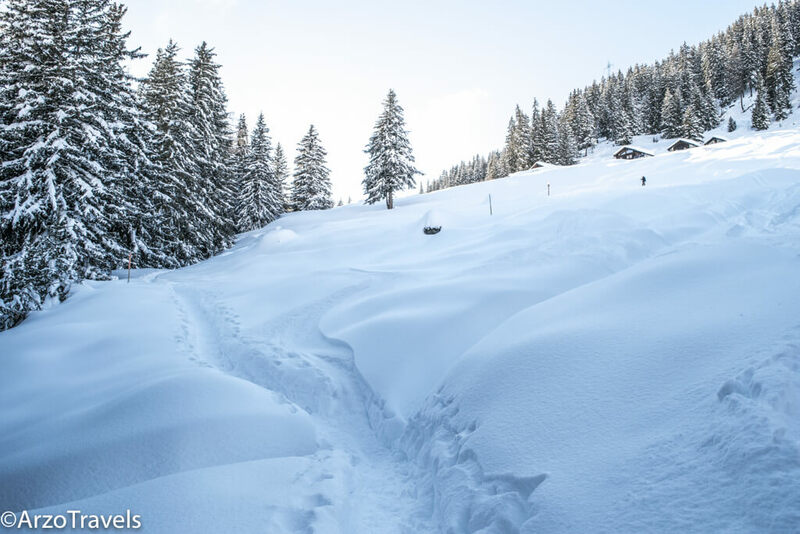 If you enjoy hiking and snow, then this is the perfect winter activity in Switzerland but keep in mind that hiking in the snow is surely more exhausting than regular hiking, so don’t be too ambitious for the first hike. My family and I visited Switzerland this Winter and we just loved it! Apart from the gorgeous landscapes, Switzerland has some great museums, and our favourite was probably the Swiss Transport Museum. The Swiss Transport Museum is the most visited museum in all of Switzerland, and it showcases the past, present, and future of mobility, using lots of interactive and engaging exhibits! Not only are there over 3,000 items on display, but there were so many interactive things to do throughout the museum. The Swiss Transport Museum does a great job of keeping adults and children alike engaged through hands-on activities, whilst also managing to be educational on their topic. At the museum, every kind of transport you can think of is on display – trains, planes, motorbikes, rockets, gliders, boats, bulldozers, ships, cars – the list just goes on and on. 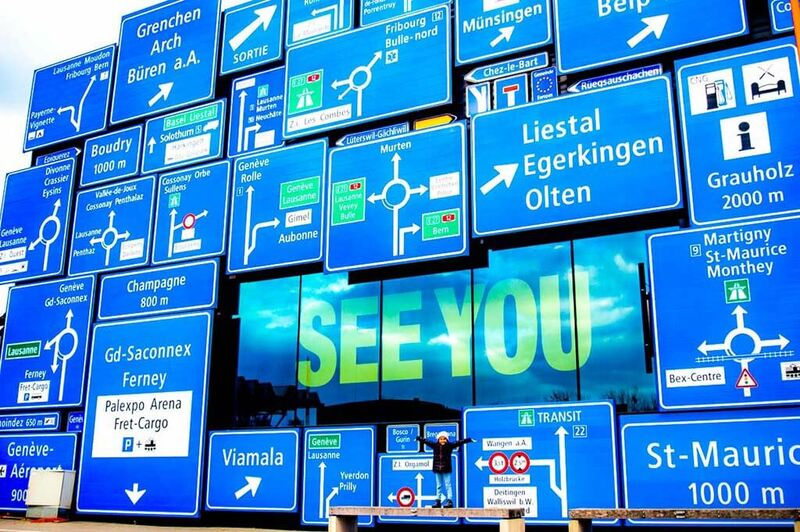 Once you’re done at the Transport Museum – in the same venue there are a few other attractions to visit also include a film theatre (the largest screen in Switzerland! 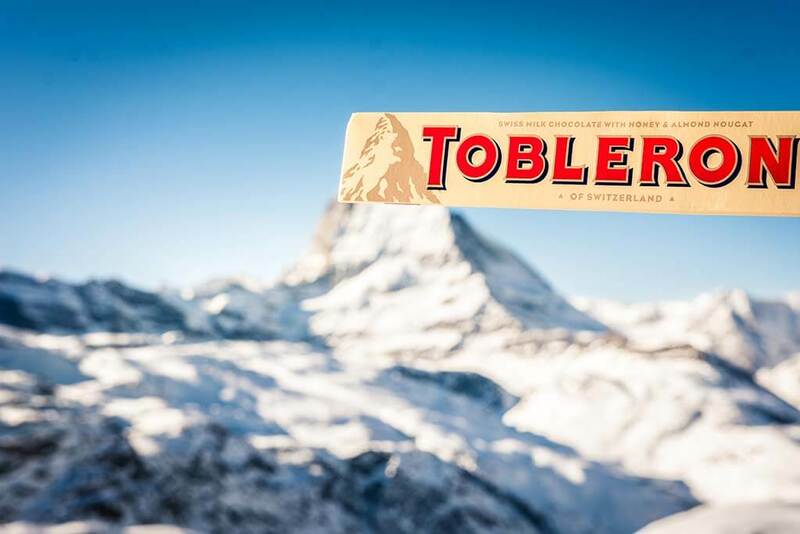 ), the planetarium, the Swiss Chocolate Adventure and Media World. You can book your ticket once you are there or simply book it online in advance. The Cambrian Hotel is a perfect place to stay in winter. Thanks to its location, nestled in the center of the picturesque town of Adelboden, there are plenty of activities offered. Around the hotel, you can ski or just stroll around this charming village surrounded by mountains. 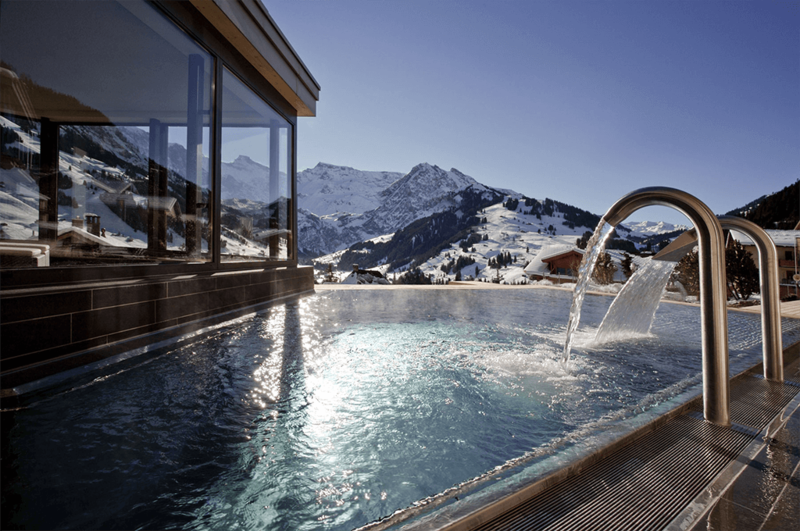 In the luxury spa hotel, you can enjoy its outdoor vast thermal pool with a magnificent view of the Swiss Alps. If you just can imagine – the cool and fresh air, warm pool water, silence, and the best view… All this makes the place like heaven. There is also an indoor pool and a sauna where you can recover your energy. What about staying in another hotel surrounded by lush greenery, peaceful atmosphere and panoramic views of the majestic Dents du Midi Mountains? In the Grand Hotel des Bains, you can choose various relax treatments or enjoy the hottest thermal baths in Switzerland, likewise saunas, and relaxation areas. You will find a lot of interesting hiking trails as well. Overall, those 2 hotels are absolutely incredible and should be on your list when visiting Switzerland in Winter. When it’s cold outside, when you’ve been skiing or snowshoeing or otherwise enjoying the winter, comes a time when you’ll crave comfort food. In Switzerland, cheese fondue will probably be at the top of your list. You’ll find it in pretty much any auberge come winter, on the slopes or in resorts, but part of eating fondue is the ambiance and surroundings. 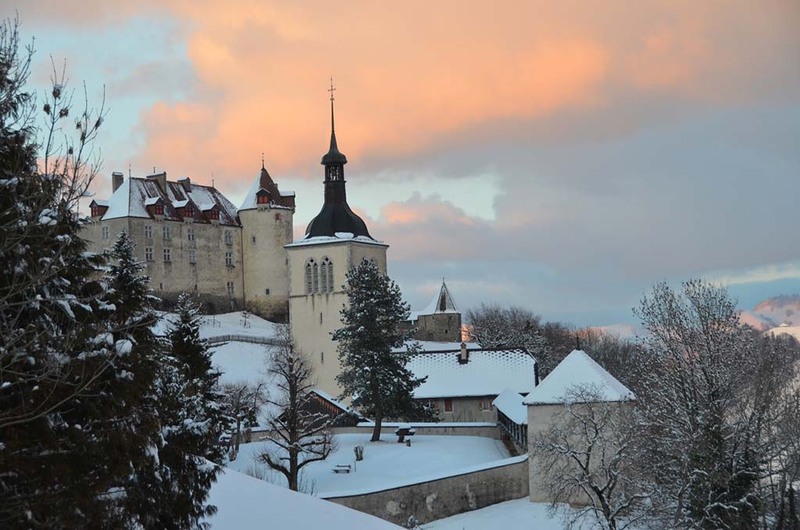 You’ve probably heard of gruyère, the cheese, but have you heard of Gruyères, the village? Yes, it is spelled with an extra ‘s’ on the end and it is a charming single-street hamlet in the canton of Fribourg. The village thrives in winter as much as in summer, with perhaps more charm and fewer tourists once the snow begins to fall. Walk past the medieval houses and fountain, veer left towards the Chateau, and you’ll find a café called (nearly predictably) Le Chalet on your left. It looks small from the outside but that’s an illusion you’ll quickly lose when you enter. With its wood-paneled walls and ceilings, Le Chalet is as much about looking around as it is about eating a rich, aromatic and smooth fondue. And if you somehow still have room, order a meringue with double cream, a local specialty – but you may need some help getting up. Overall, Gruyeres is a great place to visit and eating a traditional cheese Fondue is one of the best things to do in Switzerland, especially in Winter time. Switzerland is full of beautiful lakes, and I could honestly recommend you dozens of them. However, two of them especially stand out for me during winter time in Switzerland: Lake Cauma and Cresta. While they are both extremely busy during summer time (with both locals and tourists going there) you can see those two beautiful lakes almost alone during cold winter days. Lake Cauma and Cresta are located in the small town of Flims (where you can also ski!) and are famous for their beautiful blue color (see picture below!). They are reachable by public bus and short walks – so a perfect idea for a little day out in nature. 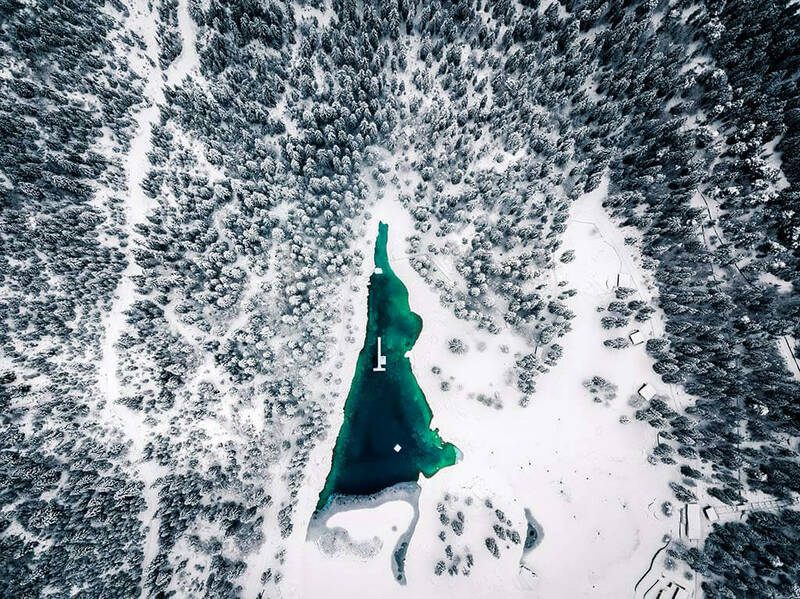 *Please note that the town of Flims officially banned drones from both lakes, so be sure to check drone rules beforehand if you plan to fly a drone in Switzerland. I took this image before the public ban and had permission to fly.